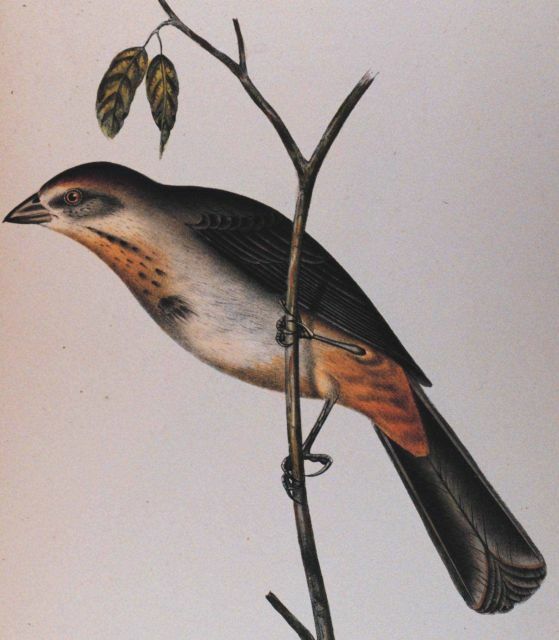 Pipilo mesoleucus, Baird. This image was included in: Reports of Explorations and Surveys .... Volume X. 1859. Plate XXIX. P. 35 of U. S. Pacific Railroad Explorations and Surveys near the 35th Parallel. Call Number F593 .U58 1855 .